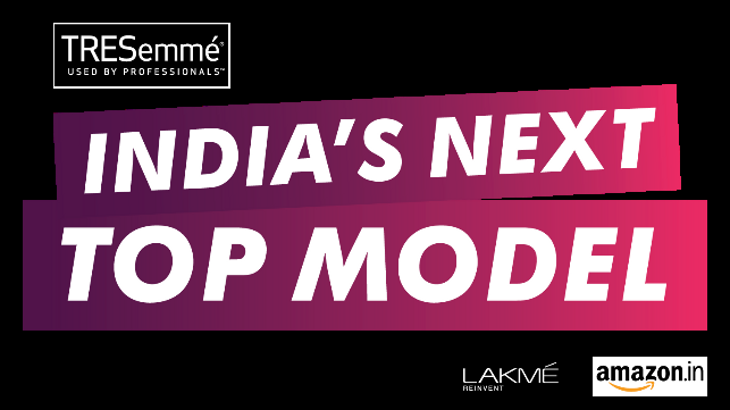 After long nationwide search and after 9 episodes, the popular reality Tv show, India’s Next Top Model, has chosen its Top 3 finalists. It all started with 13 contestants vying for the top spot where 3 contestants were eliminated in the first episode. Then one by one girl were eliminated. From the first episodes itself fans had made their choices for top 3 but somewhat confuse about who should be the winner. As each episodes came, there were a clear front-runner. And the fans favourites never disappoint. Before the top 4 episode was aired on Tv, there were rumours that one of the favourites actually didn’t make it to the top 3. There were some nerves wrecking moment. But that was cleared once the top 4 episodes was aired. As expected after the 9th episodes, the clear front-runner or fans favourites entered the top 3. And they are Rushali Rai, Gloria Tep and Danielle Canute. Do you know they all have some similarity? All the top 3 have faced bottom the bottom two at least in one of the episodes and all have won ‘The Best Shoot’ and Ionic advantage once. 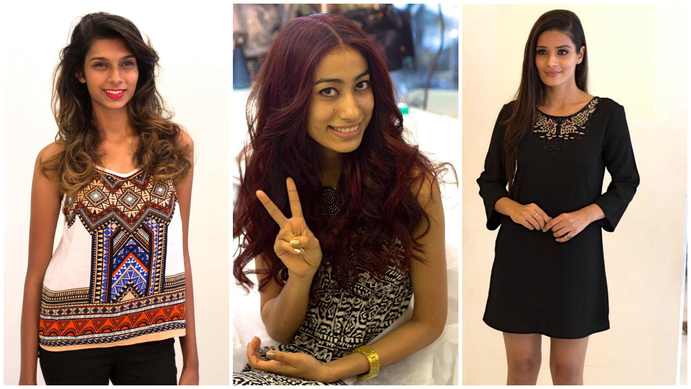 So who will be the first India’s Next Top Model? And who will get to be the runners up? Here is my winner and runners up based on the episodes I have watched from the beginning to the end. This girl has proven her mettle time and again. I really love the way she speaks. There is so much of energy in her when she speaks. She is lively and free-spirited. It’s really hard to think this is her first time in a glamour industry. She was on the bottom zone on the first episode simply because of some rules issues. She almost got eliminated but she impressed the photographer Dabboo Ratnani, in the limited time she had. He like her posed in all the shots. That saved her. After that, she surprised everyone each time with her shots. Even one contestant had said she didn’t have the requirements to be a model but was shocked when she won the Ionic Advantage and delivering a superb photo shoot. Gloria is my bet for the top spot. She deserves to win and be India’s next top model. She is a fast learner and got a potential to be a top model. Even one of he judges, Neeraj Gaba, had said she had the potential to be a winner. She is exotic, fierce, edgy and her unique looks can be an advantage. Having said that I think her drawback is her ramp walk skill. She bounces or jumps when she walks. Since the last and final episode is all about the Lakme fashion week, she will be scrutinized from top to bottom. She might be able to bring the attitude and expression of a supermodel through her body language but it’s her ramp walk I am worried the most for her. I hope she delivers when it is required the most. I was torn between Gloria and Danielle for the top spot. Danielle like Gloria is new to the industry and it’s her first ever sting in the fashion industry. But who would believe this 18 yr old is a newbie. Everytime she blows us away with her photo shoots. She impresses everyone including the judges all time. Whatever she does she do it with passion and great zeal. If not Gloria, she is likely to win the contest. She is tall, fresh and modelesque. And she can walk too. She has everything to be a supermodel. Height, expression, looks, she has it all. It’s a pity that she initially felt insecure with her dark skin tone. But that’s what makes her unique and very appealing. I think her downside is that she couldn’t bring her softer side on camera. She has given her edgy and fierce looks on camera but when she was to bring her soft, cheerful looks she just froze. Maybe it was a bad day. And she did come back with a bang. Even if she doesn’t win, she will definitely be a top model one day. She is young and has more to gain from her experience than to lose. Rushali in the very first episode initially didn’t quite make a good impression on the judges. She was even told she was more suited for commercial adds. A hard worker she is, she proved the judges wrong. She gave the best photo shoots on the first day. There was no looking back then. The beautiful and gorgeous Rushali is here to win at any cost. Week after week she delivered her best. All this comes from being an experienced model. She was 2nd runner up at Miss Delhi contest and was in top 10 of Femina Miss India, 2015. The training she got from both the contest definitely helped her. It is evident when she poses in front of camera. Her downfall could be her height. But she is not the kind to let it affect her. She is hard-working and committed to what she wants to achieve. She might just surprise us on Sunday when the final episode is telecast because she keeps surprising us. And I love surprises.